I have recently started switching all my cosmetics and toiletries to more natural products. Whilst things like parabens, sodium laureth sulfate and triclosan may be easy to spot when reading a product label, I have to admit I have found it tricky to decipher whether other chemicals are safe or not. Some chemicals are irritants and others are thought to contribute to cancer and hormone disruption, as well as being harmful to the environment. It can be time consuming to read labels and Google ingredients, so I was intrigued when I was contacted by a company called CosmEthics, who have created an app that helps people make smart product choices tailored to their individual needs. 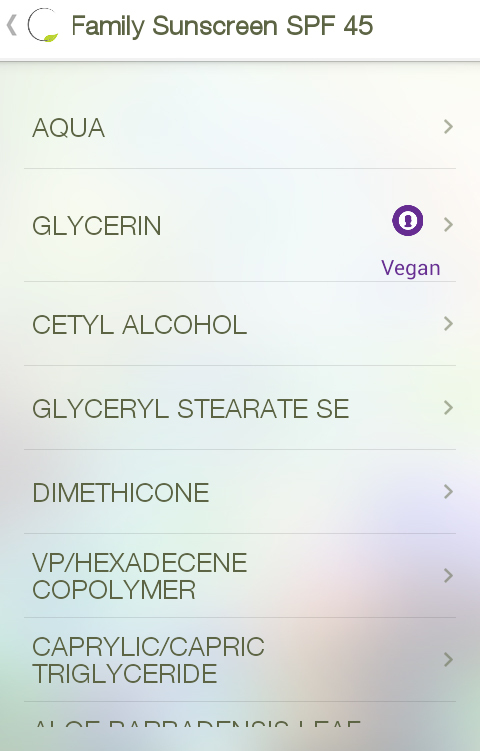 The CosmEthics app is free to download on Apple an Android devices. 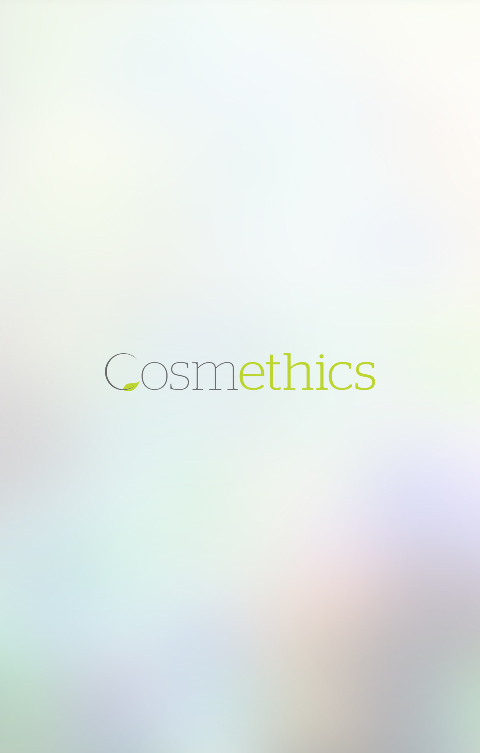 Every product in the CosmEthics database is reviewed for three default alerts, which are linked to research articles and an abstract (overview of research on the hazard ingredient). You will see a red traffic light appear next to the ingredient name, if the product contains an ingredient from the following alert groups: formaldehyde, parabens and phthalates. 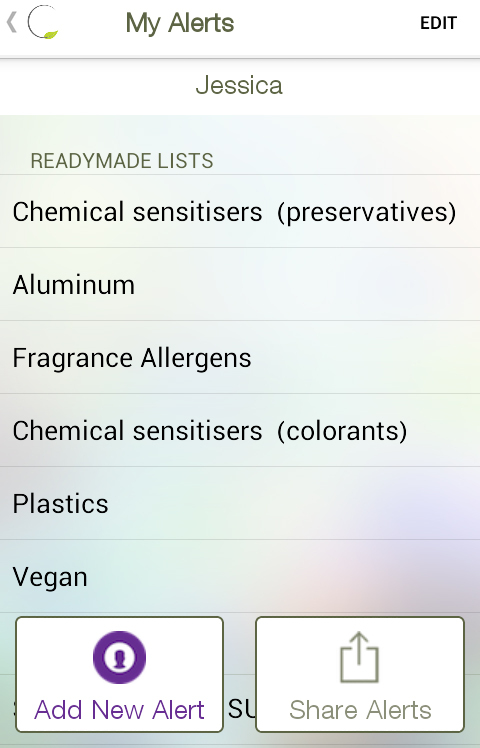 CosmEthics also has six ready-made alert lists including aluminum (24 ingredients), plastics (16 ingredients), vegan (209 ingredients), fragrance allergens (26 ingredients), chemical sensitisers (colourants) (6 ingredients), chemical sensitisers (preservatives) (3 ingredients). 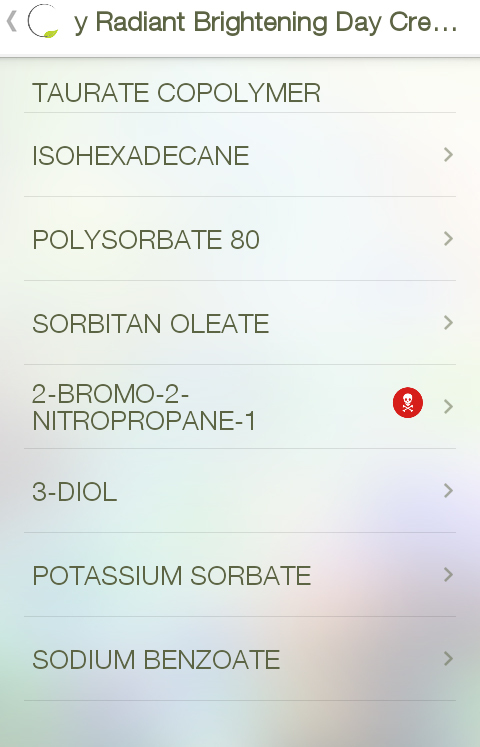 You add any or all of these lists to your alerts depending on the type of ingredients you wish to avoid. The app features hundreds of products on its database, which can be added to by users of the app. 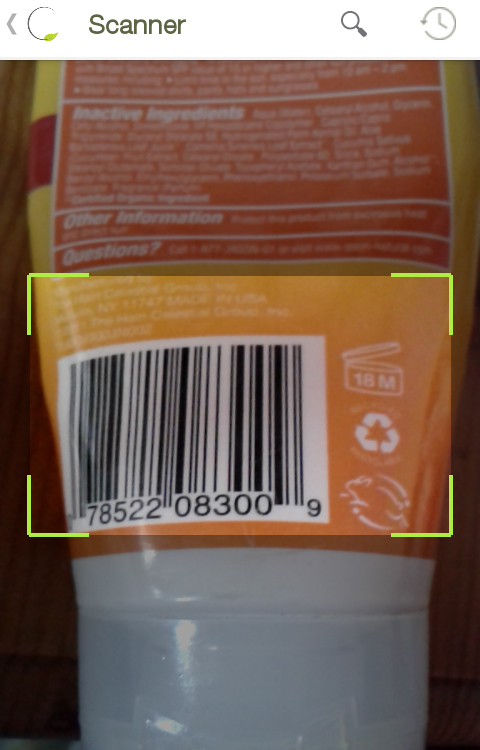 You can search for a product or brand, or use your phone to scan a product barcode. 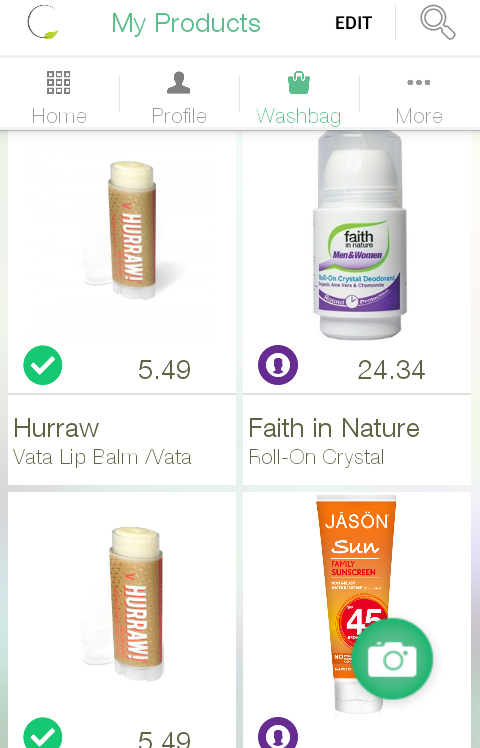 If the product you scan isn't already on the database, you can take photos of the product and its ingredients and submit it to CosmEthics for them to review and add to the app. If you are the first to submit a product, you are added to a monthly prize draw to win free products. 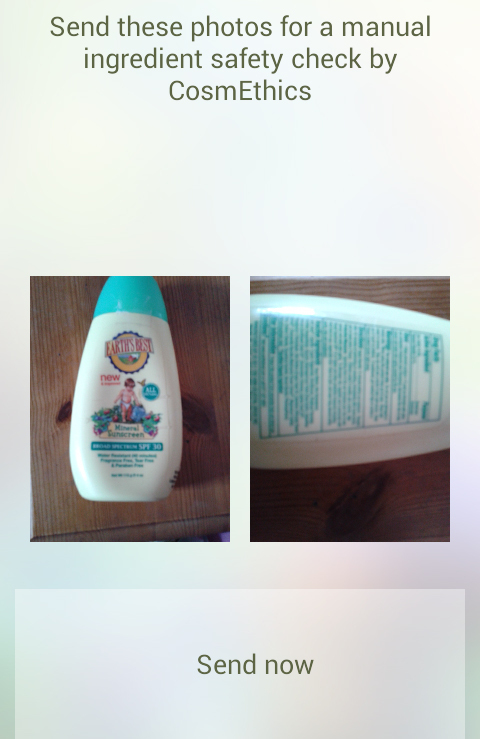 I found it really easy to scan products and submit photos, however, the camera quality on my Android phone decreased in the app, resulting in images that were blurry and the ingredients lists became illegible. CosmEthics advised me that they are aware of this problem and because there are different versions of Android on market, it takes time to get each version to have a good camera focus. Their IT department are now working on manual uploading feature, which will be live soon. 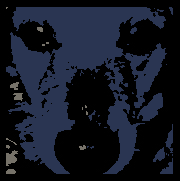 However, despite me uploading blurry pictures, the products I submitted had been reviewed and successfully added to the database within a couple of hours! I added all the lists to my alerts. 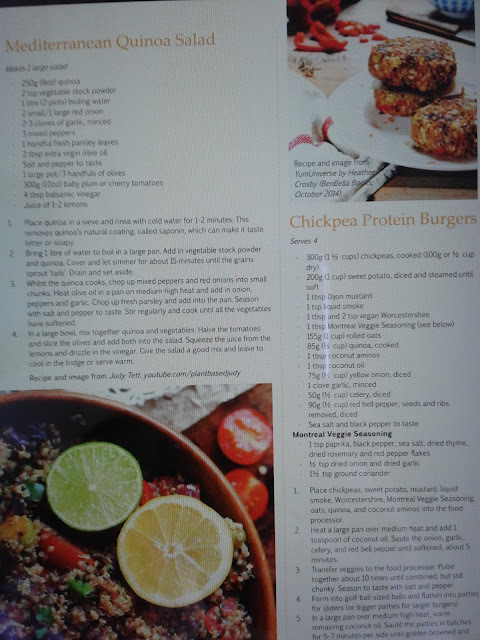 I had a go at scanning a few of my products. Some of them were already on the list but others I was the first person to submit pictures of. Once you've scanned or searched for a product it will tell you whether it is safe, or whether it contains any of the default hazard ingredients or an ingredient(s) on your personal alert list. You can view the full ingredients list for each product and tap on them to be directed to a Wikipedia page to read more about them. The app also recommends alternative products that it deems safer. You can add a product to your 'washbag' if you already own it, add it to your wishlist, or buy it through the app via Amazon. One thing that I will mention is that the vegan alert is a little confusing in that it doesn't mean a product is vegan, it means that it contains one or more ingredients that may not be vegan. 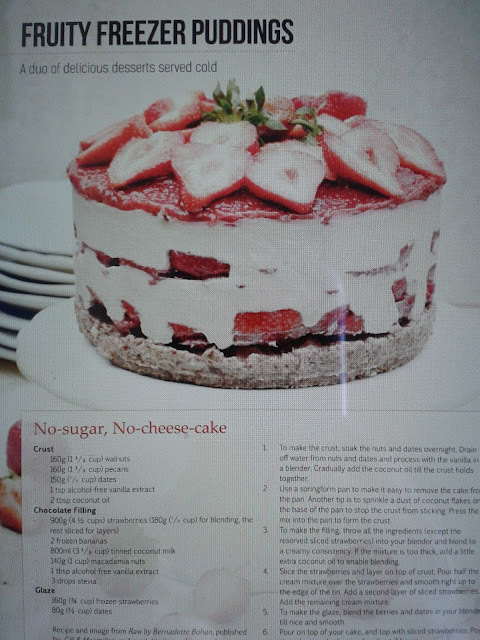 It is also a little confusing that it flags up potential non-vegan ingredients in products that are definitely vegan (either Vegan Society registered or confirmed as vegan by the company). Therefore if you do not know whether a product is truly vegan, you may need to contact the company to find out. For example, I know that all Jason products are vegan with the exception of a couple of products that contain beeswax. 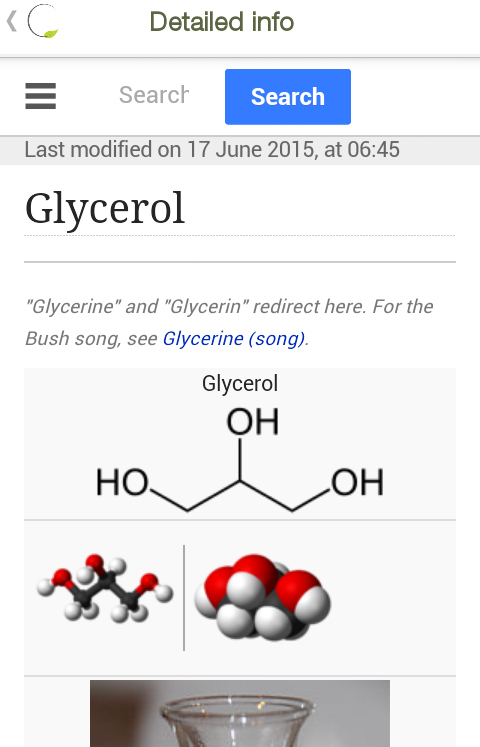 However, this sun cream was flagged by the app because it contains glycerin which can sometimes be of animal origin. 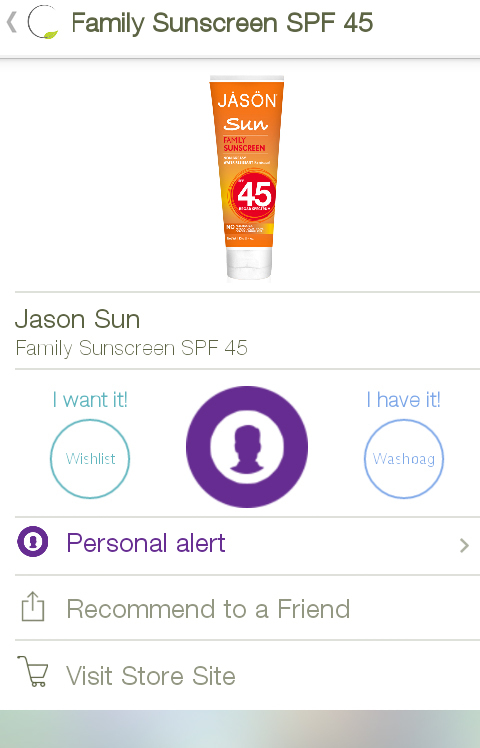 The CosmEthics app also allows you to set up a personal profile, which is linked to your Facebook account. Here you can view your alerts, washbag and wishlist, as well as personalise your skin and hair type.
. According to the Campaign for Safe Cosmetics (a website that is really handy for information on harmful chemical ingredients), this is a formaldehyde-releasing preservative which is an irritant and carcinogen and is banned from use in cosmetics and toiletries in Japan and Sweden. 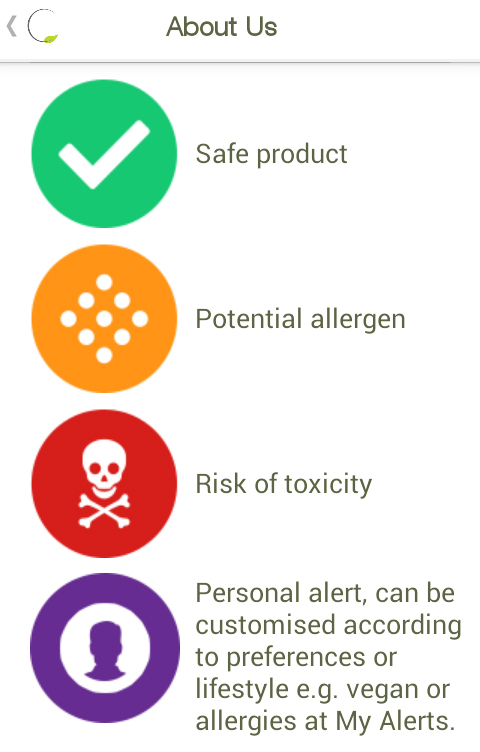 I was not aware of the dangers of this ingredient before using this app, so I will be careful to avoid it from now on. On the other hand, the app does not flag up other ingredients that could be potentially harmful. For example, I have decided to avoid chemical sunscreens such as octocrylene (which can also be found in the Superdrug moisturiser), which is absorbed into the skin and acts as a photosensitiser, resulting in an increased production of free radicals. Free radicals cause DNA damage and can potentially contribute to malignant melanoma, something that is increasingly being seen in sunscreen-users compared to non-users. 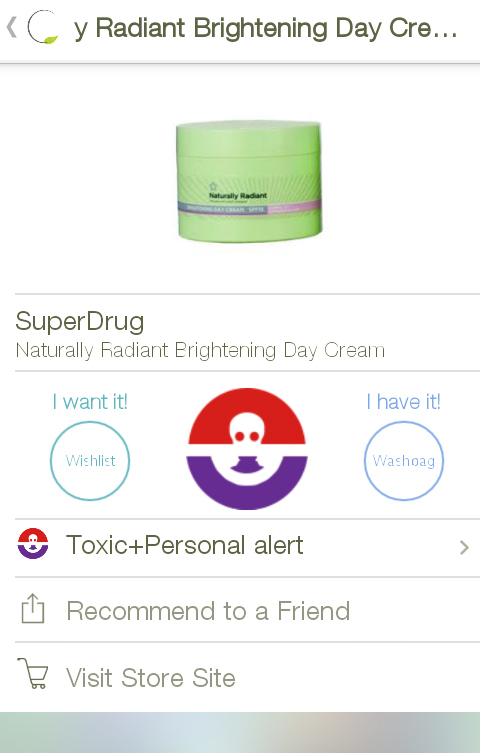 I have made a suggestion to CosmEthics that they could include a cruelty-free alert, as not all the products on the app's database are cruelty-free (companies such as L'Oreal, Garnier and Herbal Essences are included for example). They have welcomed my suggestion and say they are going to look into this, so fingers crossed! I have found the CosmEthics app really easy to use and I have a feeling it is going to come in very handy. If you are concerned about the ingredients in your cosmetics then I would definitely recommend giving it a try, especially when out shopping as it could save so much time studying product labels. 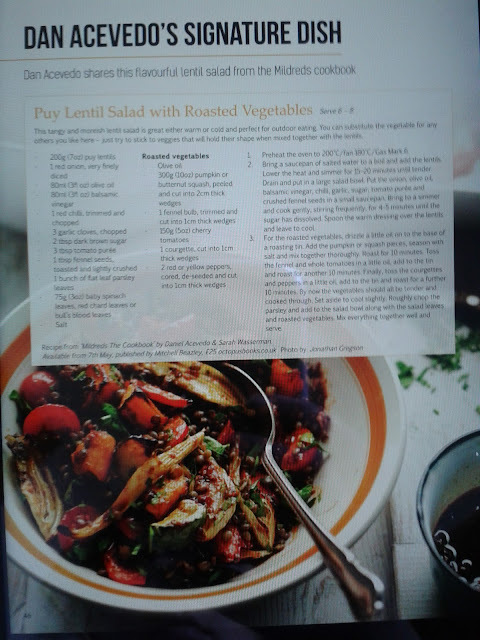 Issue 6 of Vegan Life magazine was fab as usual; another interesting mix of recipes, news, interviews and features. I particularly enjoyed the interviews in this issue, as two of them featured the faces behind some of my favourite vegan businesses. 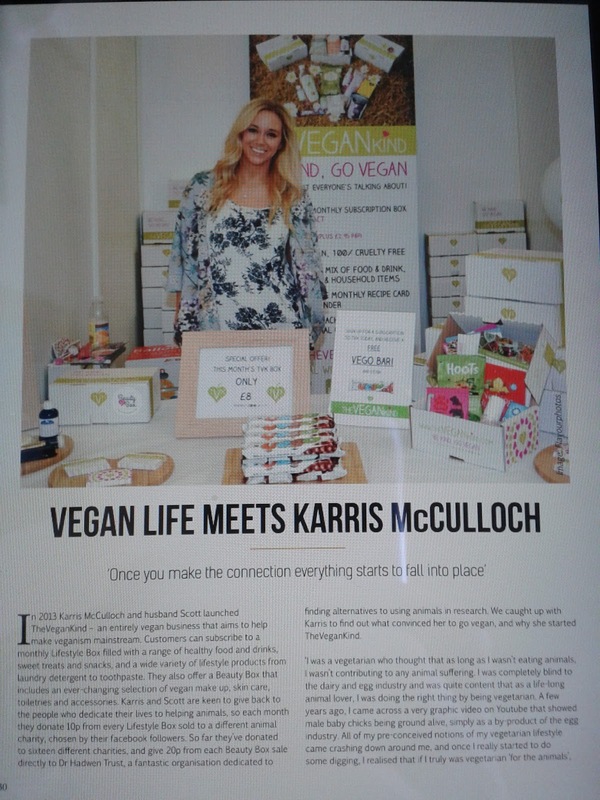 Fellow vegan blogger and founder of TheVeganKind monthly subscription box Karris McCulloch talked about why she went vegan and how she spreads the vegan message through her business and her personal life. I have been a subscriber of TheVeganKind since it started nearly two years ago and I always look forward to receiving a surprise box of vegan goodies (see my review here). When I first started this blog, Karris's blog was one of the first cruelty-free blogs I found, and I was really excited and happy for her when she annouced she was launching a vegan business. It was lovely to read more about her in this interview, and hopefully people will sign up to TheVeganKind if they didn't already know about it. 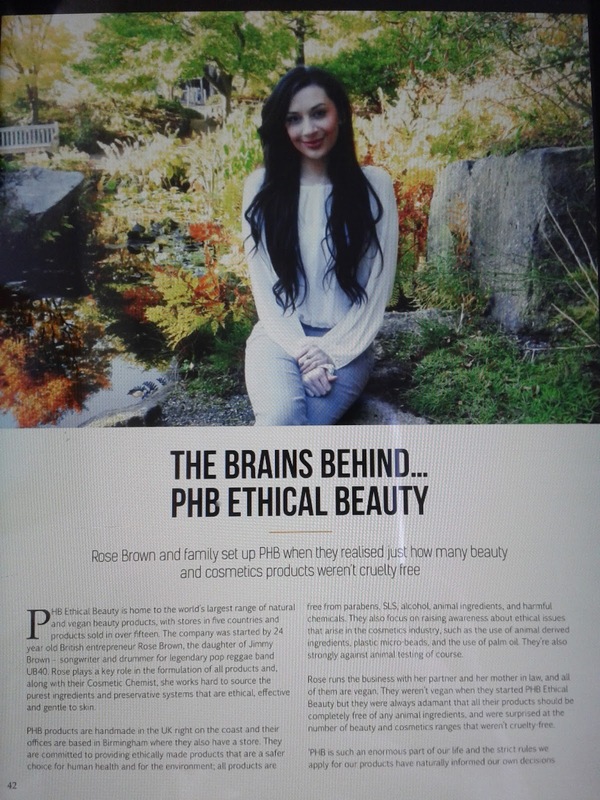 I also loved reading more about Rose Brown, the founder of PHB Ethical Beauty. PHB is one of my absolute favourite beauty brands as it just ticks all the boxes when it comes to finding perfect products. PHB make a wide range of cosmetics and toiletries which are all vegan, halal, free from harmful chemicals and palm oil, and are certified by Cruelty Free International. It was great to learn that, although Rose and her business partners (her partner and her mother-in-law) weren't vegan when they started PHB, they naturally made the transition after insisting that their products contained no animal ingredients made them think about the issue more. I think it is important that vegan businesses are run by vegans themselves as it earns them more trust and respect (I've heard reports of the owners of veggie cafes being seen cooking bacon sandwiches before the cafe opens in the morning!) and you can rest assured that your money won't be funding animal cruelty outside of the business. Rose is hoping to expand her range with more products, and is currently redesigning product labels to inform customers that 15% of profit each year will be donated to charity. She also hopes to turn the company into a not-for-profit organisation to raise money for people and animals in need. How amazing is that? I genuinely love PHB's products, and if you haven't tried anything from their range before then I strongly suggest you give them a try. I have previously reviewed some of their products which you can read here. 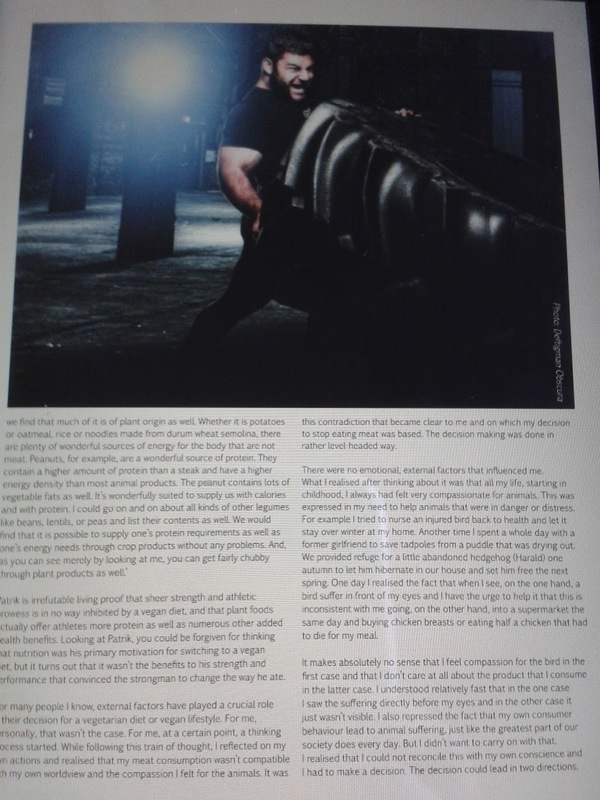 It was also interesting to read about Patrik Baboumian, an Armenian strongman who is known as the 'Vegan Badass'. Patrik has taken part in countless strength sports competitions over twenty one years and has set multiple world records as a vegan between 2012 and 2013. He has written a book - Vrebellion - to help tackle the stereotype that vegans are weak and deficient in protein. I think it's great to see more men dispelling the myth that you need to eat meat to be 'manly' and muscly, especially when they are compassionate too (Patrik realised that he had always been kind and helpful to animals since his childhood). Patrik said that one day he realised that it was hypocritical to want to help an injured bird and not let it suffer, but on the same day go into a supermarket and buy a dead chicken for his dinner. I wish everyone would make this connection! Some of the delicious recipes that I fancy having a go at from this issue are lentil and mushroom pasties, vanilla bean chocolate chip cookies, puy lentil salad with roasted vegetables, Mediterranean quinoa salad, chickpea protein burgers, no-sugar, no-cheese cake, pink lemon coconut bonbons and superfood seed bars. 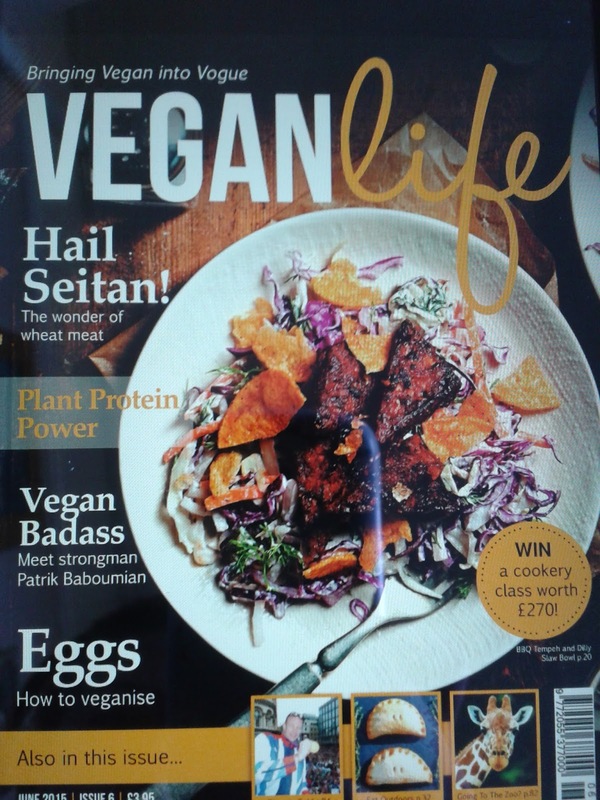 Issue 7 of Vegan Life magazine will be on sale very soon - you can subscribe to the paper version here and the digital version here. I used to have my hair highlighted during my mid-teens but since then I haven't bothered with colouring my hair. Lately though, I've fancied a bit of a change and have thought about dyeing my hair. However, since I've started to gradually stop using products that contain potentially harmful chemicals, I've struggled to find hair dye that is natural as well as obviously cruelty free and vegan. 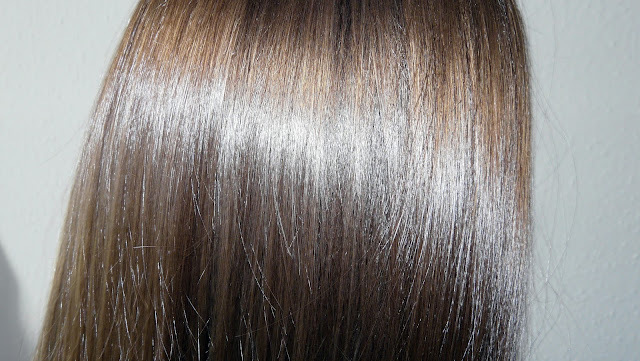 Herbatint are an Italian company that make a range of ammonia-free permanent and semi-permanent hair colours as well as shampoo and conditioner. 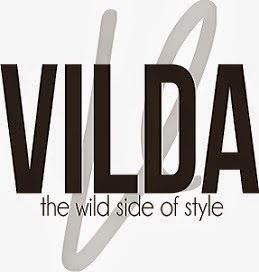 They are certified as cruelty-free by PETA and are registered with the Vegan Society. All their products are also gluten-free. Herbatint kindly offered to send me a hair colour to try. Their permanent colours, whilst free from ammonia, still contain PPD which is a known skin sensitiser and possible carcinogen. Therefore I decided to opt for their semi-permanent vegetal colour instead. The full ingredients list for the vegetal colour is: aqua, PEG-200, cocamidopropylbetaine, hydroxyethylcellulose, tetrasodium EDTA, resorcinol, C.I. basic brown 16, C.I. basic brown 17, C.I. basic yellow 57, C.I. basic blue 99, C.I. basic red 76, C.I. 12251, ethanolamine. I noticed after I used the colour that it contains resorcinol, and on Herbatint's website it claims that the product is resorcinol-free. 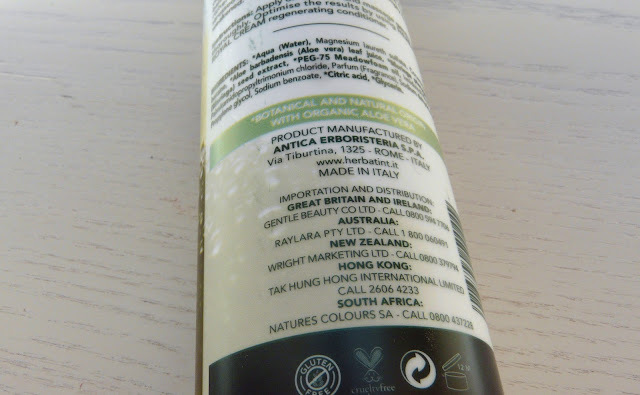 I contacted Herbatint and they advised me that I was sent an old version of the vegetal colour, and since 2012 it has indeed been formulated without resorcinol. Therefore if you wish to avoid this chemical (which is linked to skin and eye irritation and sensitivity, organ system toxicity, and possible endocrine disruption) make sure you check that you are buying the new version of the vegetal colour. The new version is also free from ethanolamine, which has been linked to cancer, environmental concerns and organ system toxicity. The ingredients in the newer version are: Aqua, Hydroxyethylcellulose, PEG-18 glyceryl oleate/cocoate, PEG-2 oleamine, HC Blue 2 solid, HC yellow 4, Basic red 76. I was also sent an application kit with the vegetal colour which consisted of a protective cape, a measuring jug and a brush which retails at £4.50. Plastic gloves were also provided in the vegetal colour box. I found the colour was really easy to apply, especially as I've never dyed my hair myself before. I followed the instructions which were to wash your hair first before applying the colour to damp hair, covering with a shower cap and waiting 45 minutes. You then rinse out the colour until the water runs clear and apply the Aloe Vera Royal Cream conditioner sachet which was included in the box. I started off by using the pot and brush to apply the colour but as I don't have a lot of patience I opted to apply it directly onto my hair from the bottle and distribute it through my hair with my fingers. I found it easier to apply this way but if I were using the permanent colour where you have to mix the colourant and developer then it would probably be more useful. The kit doesn't supply a shower cap but luckily I had some at home courtesy of previous hotel stays! I found the protective cape handy as my hair is long and I didn't want to get any colour on my clothes. I did clumsily drop the bottle and some colour splashed all over the wall but it came off really easily with a damp cloth. As my hair is so long (waist length) I was a little worried that there wouldn't be enough colour to cover my whole head but there was just enough. If you have shorter hair then you can get 2 applications out of the bottle. After rinsing the colour out I blow-dried it as I was eager to see the results. Whilst there may not be an obvious difference to my hair colour, I definitely noticed a subtle enhancement of the golden undertones. The pictures don't show it up too well, but when my hair is in the sunshine it really picks up the golden blonde highlights. I loved how soft, glossy and shiny my hair was after using the colour and the conditioner. 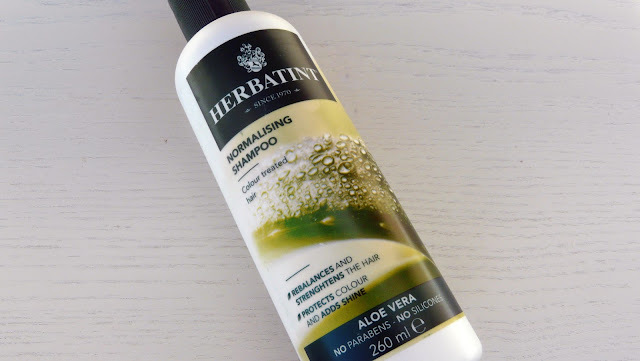 Herbatint also sent me their Normalising Shampoo, which retails at £8 and is specially formulated to work with Herbatint. It is a gentle, pH balanced product containing aloe vera to protect and enhance hair colour and is free from SLS and parabens. The ingredients are: Aqua (Water), Magnesium laureth sulfate, Cocamidopropyl betaine, Aloe barbadensis (Aloe vera) leaf juice, Moringa pterygosperma (Moringa) seed extract, PEG-75 Meadowfoam oil, Imidazolidinyl urea, Palmitamidopropyltrimonium chloride, Parfum(Fragrance), Sodium dehydroacetate, Propylene glycol, Sodium benzoate, Citric acid, Glycerin. When I used the shampoo a few days after colouring my hair, I thought my hair looked even more vibrant afterwards. My hair felt really clean and soft after using it. 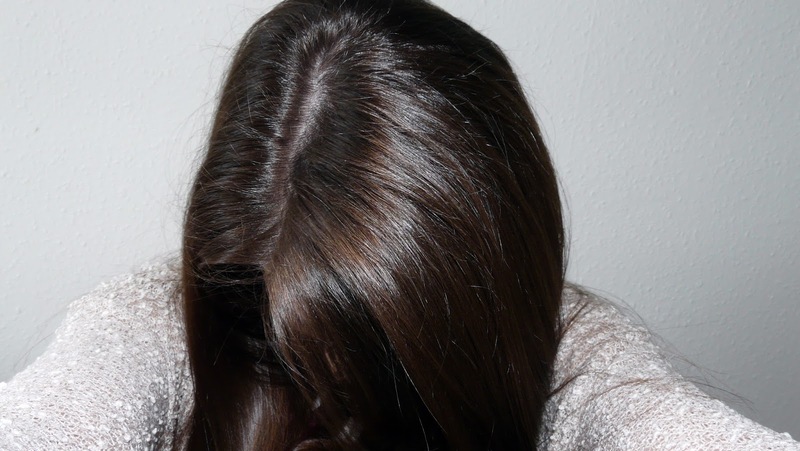 I have also tried the shampoo on my uncoloured hair and it had similar effects. My boyfriend also tried it and we were surprised to find that it showed up gingery undertones to his naturally dark brown hair that we hadn't seen before! I would use the vegetal colour again now I am happy that the new version does not contain resorcinol. I prefer my hair lighter in the summer and darker in the winter, so perhaps in a few month's time I will see what effect a copper/red colour has on my hair.